I want to briefly say that I believe every woman is creative, therefore I believe that every woman can gain something from all of these books. 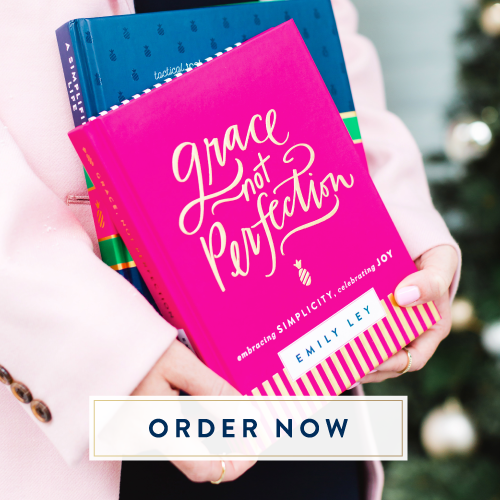 If you're also wondering why I included an organizational and devotional book in this list it's because I believe that every woman should be well rounded. For me at least, it's also hard to be creative in a super cluttered space. While I'm not a natural orderly person, I've learned that I do my best work when my space is tidy. As a mom, reading can often feel like the last thing that you need to be doing. After all, if you're not always multitasking, are you really doing enough? When you read there is nothing else you can do (unless you're listening to a book on tape.) You can't cook, clean, write, play, or anything except reading. But I've also learned that reading is one of the most important things that I can do to help cultivate my creativity and writing skills. If I'm not constantly learning from other people I rely solely on my own source of inspiration and creativity which is often lacking. Here are a few books that I would highly recommend! I can't recommend this book enough. It's one of those books that I know I will read over and over again, and there are not many books I can say that about. Life Creative is all about the different seasons of a woman's life and how creativty ebs and flows through those seasons. Having children doesn't mean you have to die to your creativity. 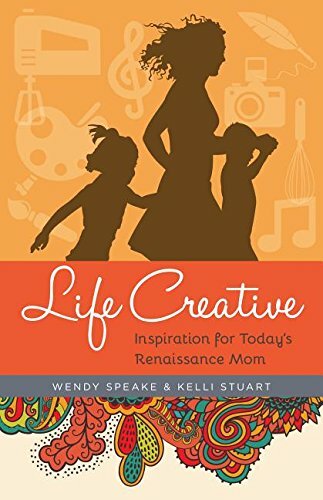 This book is full of real life examples of how different women use their different creative gifts for their families, communities, and the world. If you read nothing else this year, read this book. Seriously. Elizabeth Gilbert is most well known for her book Eat Pray Love. 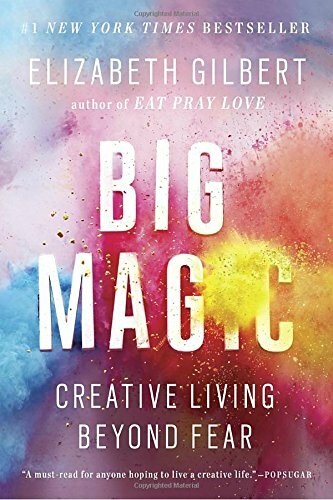 In all honesty I did not care to much for that book but I really love Big Magic! Her view and insight on creativity is inspiring! She talks about how creativity is in all of us and the factors that hold us back from being creative. She also talks about her story of creativity and how she worked tirelessly in other jobs so that she could write on the side even when she wasn't making any money from her work. I haven't yet tried using the planner by Emily Ley but I'm in love with this book. As a mom to 3 and twins in the mix, while running a business, Emily knows what it's like to get lost in the chaos of life. However her story on how she made changes in her life and is balancing her passions without sacrificing is truly inspiring. Personally, as a mom who still has goals and dreams, I often wonder if I need to lay everything down for the sake of raising children. 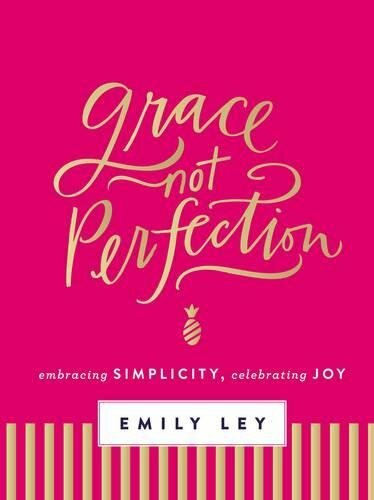 Emily gives a gracious example of how she has managed to pursue her dreams without sacrificing her children and husband. 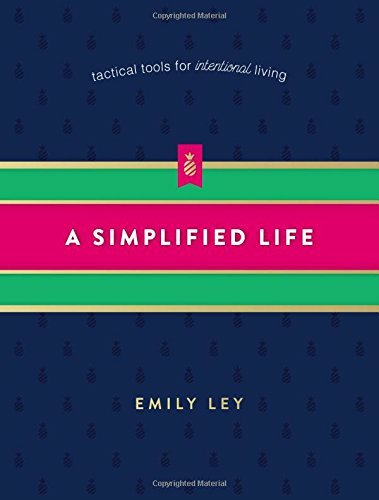 This book is chuck full of practical tips on how to simplify your life. Minimalism is all the rage these days and it can sometimes feel intimidating. If you don't know where to start in de-cluttering your home, this book is for you! She has tips on how to de-clutter even the smallest areas of your life like your makeup bag! Emily also gives advice in a gracious way knowing that she has not always had it together. Why do I have a devotional book in the middle of all these creative and inspirational books? Because I honestly believe that if we as women are not grounded first in the word and prayer, then our creativity will not be what it should. If we want our creative outlets to be first and foremost glorifying to God, then we must be rooted in his word. All that to say, this might be my favorite devotional that I've ever read. 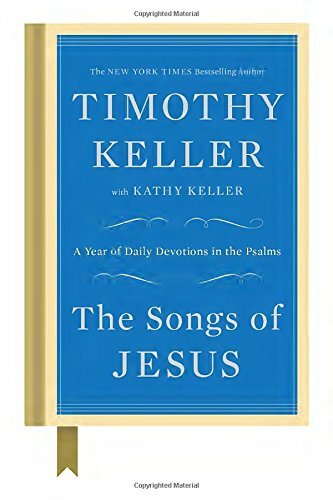 While the devotions are short, they are deep and Keller does a stellar job of unwrapping the psalms and applying them to your life. I would love to hear what you think of these books after you read them! I hope you are encouraged and inspired as much as I was through reading these books!